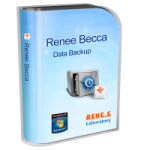 Renee Becca is an outstanding backup/recovery program for Windows. Provide a simple, fast and efficient data security storage service for our customers with good user experience. We strongly recommend you to experience it now. Can I add a link to Renee Becca on my website? Of course, we’re glad for your help to promote Renee Becca.